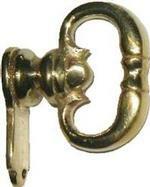 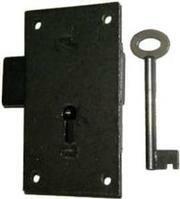 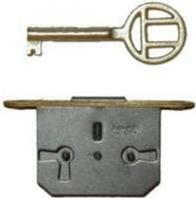 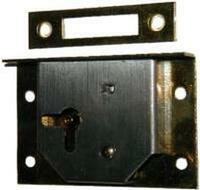 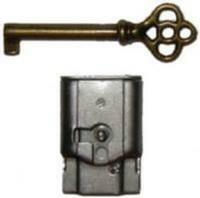 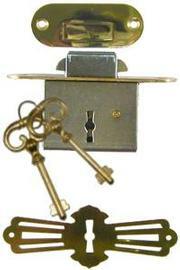 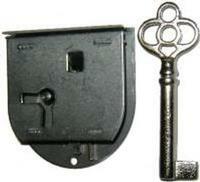 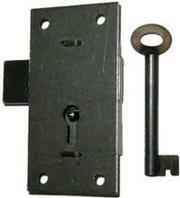 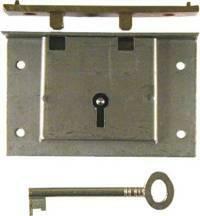 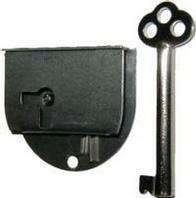 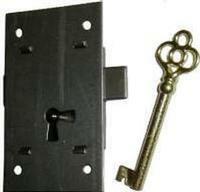 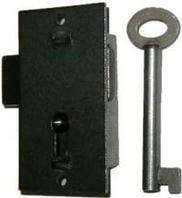 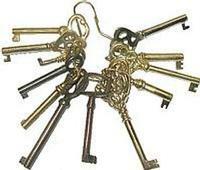 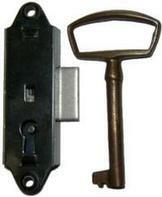 In the mid 1700s, locks were scarce in the Colonies and most were copies of European mechanisms. 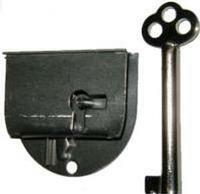 With the founding of the Republic and the new prosperity, there was a growing demand for sturdy locks, giving birth to the American lock industry. 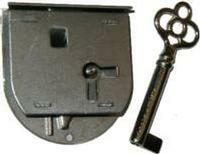 Native craftsman each had his own ideas about security, and between 1774 and 1920, American lock makers patented approximately 3,000 varieties of lock devices including furniture locks. 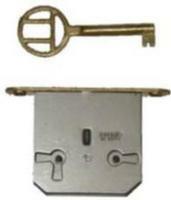 Brass Finish Key - 2-7/16" x 3/4"
Brass Key - 2-1/2" x 3/4"
Brass Key - 2-9/16" x 13/16"
Brass Plated Key - 2-3/8" x 1"
Cast Brass Key - 2-5/16" x 1-1/8"
Flush Mount Cupboard Lock - 2-1/4"
Flush Mount Cupboard Lock - 3" x 1-3/4"
Flush Mount Cupboard Lock - 3" x 1-5/8"
Flush Mount Cupboard Lock - 3-1/2" x 2-1/8"
Flush Mount Furniture Lock - 3" x 1-3/8"
Flush Mount Furniture Lock - 2-1/2" x 1-1/4"
Flush Mount Lock - 2" x 1"
Full Mortise Furniture Lock - 1 1/8" x 1 3/4"
Full Mortise Furniture Lock - 1-1/2" x 1-3/4"
Full Mortise Furniture Lock - 1-3/4" x 1-3/4"
Full Mortise Furniture Lock - 1-3/8" x 1-3/4"
Nickel Key - 2-9/16" x 13/16"
Statuary Bronze Key - 2-1/2" x 1-1/4"
Statuary Bronze Key - 2-1/8" x 5/8"